Smallbore rifle (.22 caliber rimfire) competition shooting consists of many different disciplines. Most competitions or disciplines are prone, three and four position, rimfire benchrest and silhouette. 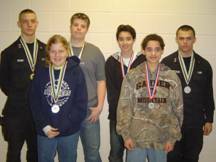 Smallbore rifle competitions may be fired outdoors or indoors. Here in Kansas, competitions are fired at distances of fifty feet indoors whereas outdoors they are fired at 50yards/meters and/or 100yards and even 200 yards in some cases. Match competitions can be as little as 30 shots (10 shots prone, standing, kneeling) or as much as 40 shots in each position in a tournament. One of the most popular competitions is known as Smallbore Rifle Prone. These matches are typically 160 shots fired at distances from 50 to 100 yards. Kansas is also unique in that we are the only state that also hosts an indoor prone competition consisting of 120 shots fired at a distance of 50 feet. 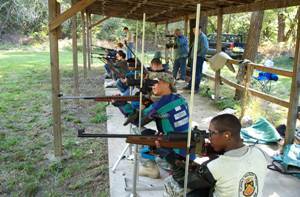 Some groups even host CMP (Civilian Marksmanship Program) events using common sporting rifles. 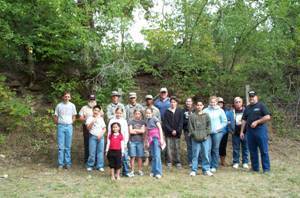 Each year KSRA sponsors and hosts a very popular event for both beginner and advanced junior position shooters with the Junior Shooting Camp held at Camp MaryDell just South of Abilene, Kansas. The camp is usually held the first weekend in October starting Friday evening and running through Sunday afternoon. Participants are treated to expert instruction and two full days of shooting. The KSRA Junior Shooting Camp is a lot of fun whether you are a novice trying to learn the basics or a more advanced shooter honing your skills. Camp Director and POC for this camp is Dianne Higby at ddhigby@hotmail.com 785-389-3030. Information and registration materials are also available on the KSRA website at www.ksraweb.net.